While we all can’t all claim to be Martha Stewart when it comes to planning, there are some ways to spice up events that can make them extra special – and this includes putting together a delicious summer picnic. Certainly the first order of business in accomplishing this task is to plan your menu. 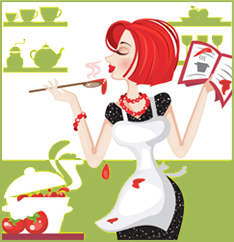 Here, in addition to coming up with some scrumptious goodies, though, you will need to determine which dishes will travel well so that they both look and taste great when you get there. Foods that don’t require lots of additional sauce or other types of ingredients that may make them soggy. Upon your arrival at the picnic location, you will want to be sure to have appetizers or other types of snacks that can be eaten prior to the main meal. Here, too, remember to pack items that do not require heating up or cooling down – as well as those that can be easily transported in small bags or containers. For example, bringing nuts may make more sense that taking potato chips as the chips run the risk of being crushed when packed in with other items. As most picnics take place in warmer weather, you may consider putting salad on your menu of food items. If so, however, be sure that you use ingredients for the salad that will hold up well and that you avoid foods such as tender lettuce as it tends to fade in the heat. 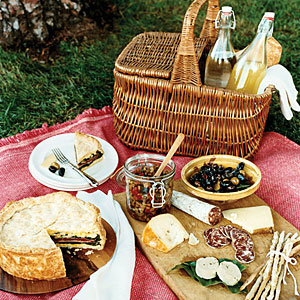 For your main picnic meal, you will want to determine that fine line between being tasty and delicious and easy to eat. If you decide to bring along sandwiches, for example, you should opt for a more hardy type of bread such as a baguette. It is also best to bring all of the sandwich makings packed in separate containers and ensure that they are adequately cooled. In this case, you may also do better to wait until meal time to cut the tomato slices and to separate the lettuce leaves. If you are also including condiments such as mustard or mayo, these items will need to be kept cool and out of the direct sunlight. This goes for after meal times as well – so make sure that they get placed back into your cooler as soon as possible after you enjoy your meal. While there are a number of drinks today that are available in individual cans or bottles, it may be more convenient – as well as more cost effective – to simply bring along large bottles of soda, tea, or lemonade. Also, don’t forget to include water – especially if it is a hot day. Once you have decided on the food to be served, it is important to also determine the proper containers as well as the method of transport to get items safely to your picnic location. One tip here is to be mindful of using lightweight serving bowls and environmentally friendly tins as versus plastic or other types of throwaway containers. This also goes for your plates and utensils. Using enamelware and break-resistant cutlery, glasses, and plates will help your picnic guests to avoid spills and other food related messes – while also cutting back on waste. When it’s time to head out to your location, be sure to pack accordingly. This means placing all of your room-temperature foods in one canvas bag while placing items that must be kept cool in either an insulated bag or adequately sized cooler. If you are packing several “layers” of food items, one way to avoid crushes is to place a small cutting board into your cooler or bag that will lie directly above the items on the bottom. The board can act as a shelf for the next layer of foods and it can also help to prevent food containers from toppling over. Also remember to pack a large plastic bag in which to place dirty dishes and utensils after you’ve had your meal. This makes it easier to simply unload everything into the sink or dishwasher upon your arrival back home. Other miscellaneous items that should be brought along for any successful picnic include salt and pepper, napkins, and a table cloth. Also, remember to include games such as volleyball or badminton equipment as well as a camera so that you can view photos or videos of your special event at a later time. Janet Lynch is a health and culinary blogger. She is also a huge advocate of diet delivery and credits much of her healthy habits to simple and affordable meal solutions.